One of the biggest ways you can assist the movers on pack day is to be present. Being present to answer questions, and give directions during the move will be helpful for the movers. Go with the movers as they inventory your household goods. They will be taking note of the condition of all items that get loaded. You may want to resolve any questions about the conditions of your things. You will also need to fill out the High-Value Inventory form. Be sure to list all your items that are of a high monetary or personal value. If you have small children or pets, it would be a good idea to have them stay with someone else on pack day. Several people will occupy your house, and they will be coming and going through the house. It will be easier on your mind to have them somewhere else, where they will be both occupied and safe. The crew will bring floor protection, boxes, and packing material into your house to pack everything up. Then they will pack and label your boxes to ensure you receive your items. 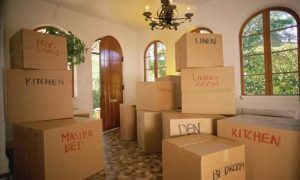 You will want to make sure your home is ready for the movers. Do this by folding all your clothing and linens. Make sure your dishes are clean and prepared for packing, empty the garbage cans, and disconnect any electronics. Remove items that from your walls and clean out and defrost any appliances that you will be moving. We recommend leaving the refrigerator and freezer doors open 48 hours before loading. If you have any questions on what to do or expect on pack day, please ask your Move Coordinator or contact Lawrence Moving.